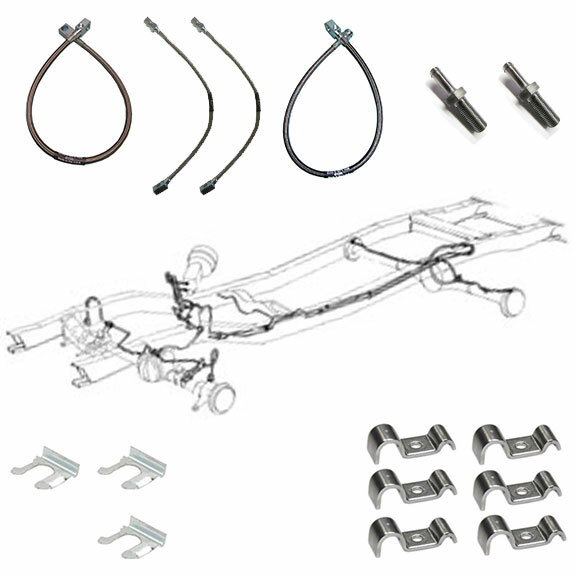 COMPLETE Brake Line Kit w/Hoses, Clips & Vent Tubes for 1976-77 Ford Broncos with Manual Dual Reservoir Master Cylinders & Factory Disc Brakes. This kit is for ALL 76-77 Broncos w/Dana 44 and Dual Reservoir Manual Master Cylinders. For Rear Disc Brakes, you must use the existing Rear Hard Lines.